Are you looking to upgrade your home’s energy efficiency, make smart home improvements and increase the value of your home? If you are, home remodeling in Los Angeles with Landmark Construction Crew may be the answer. We perform interior and exterior home renovations that include smart home improvements, energy-efficient upgrades, wall removal and additions and outdoor space renovations. With rising energy costs and an increasing desire to lower the carbon footprint of homes and improve energy-efficiency, many homeowners are choosing smart home remodeling upgrades, like automated lighting systems and wifi thermostats that can be programmed according to your needs and controlled remotely via your cell phone. These smart, energy-saving devices can help you control your energy usage and lower your energy bills. Along with smart home upgrades, many homeowners choose to spend their home remodeling dollars on energy efficient improvements that help seal the envelope of the home, like new exterior windows and doors, improved insulation and cool roof upgrades. According to the Department of Energy, sealing the envelope of your home could save you as much as 30 percent on your energy bills. Large, comfortable spaces are in style in 2018. Many homeowners who are looking to improve the market value and functionality of their homes are opting to perform home remodeling projects that create larger rooms. These types of projects can involve removing load-bearing or non-load bearing walls in order to improve the sight lines throughout the home and performing home additions, like master bathrooms, sunrooms, family rooms and entertainment rooms. Improving sight lines by removing walls and adding large rooms can help your home feel more spacious and provide valuable square footage where your family can spread out and relax. Not to mention, you will also be improving the market value of your home. As our lives get increasingly busy and staycations remain popular, many homeowners are looking to create amazing outdoor spaces where they can enjoy nature, relax, unwind and entertain family and friends. Remodeling your backyard to include a custom deck or patio can give you the outdoor spaces you desire, like custom grilling areas, lounge areas and fire pits. Outdoor spaces can also be retrofitted with televisions and sound systems. Adding a privacy fence and a few bushes, trees and plants can help complete the look of your new yard. 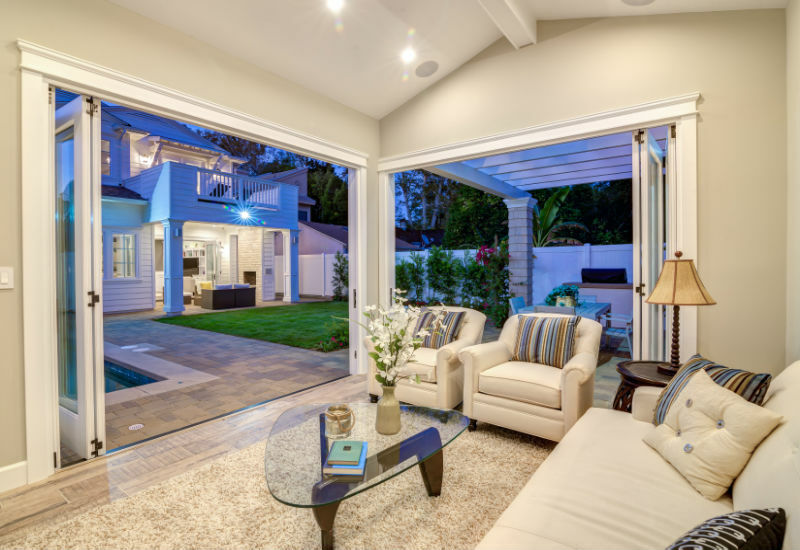 To learn more about how we can help you achieve your home remodeling goals in Los Angeles, give Landmark Construction Crew a call at 818-319-4970. We provide free quotes for all interior and exterior remodeling projects.